Most reefer traffic on the line is interchanged with the D&RGW or is privately owned cars. Cibola does provide express reefer service in conjunction with its passenger train for dairy and other time sensitive commodities. 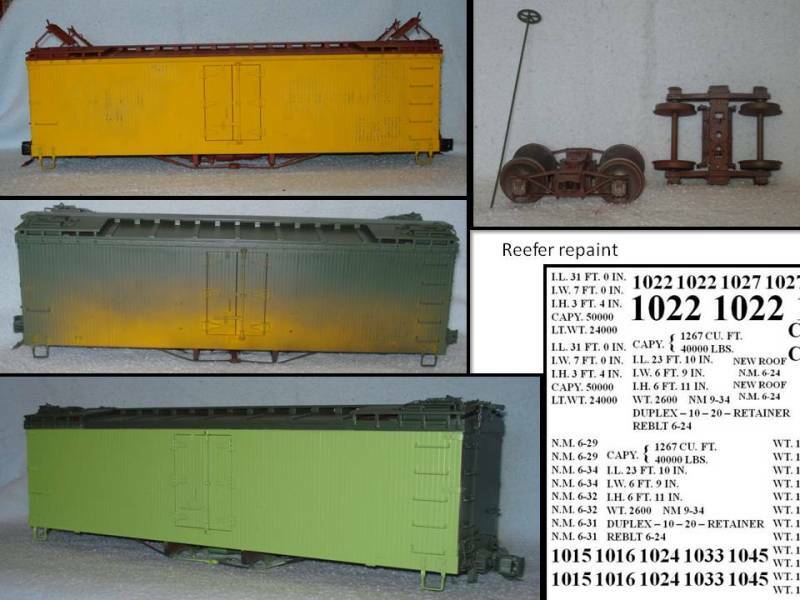 The express reefer is the only “head end” car I made for use with the passenger train. It is a repainted AMS RTR unlettered Refrigerator. I painted the sides in Cibola apple green and the roof and ends in dark olive green to match the passenger cars. The water transfers are made by me on Testors decal paper. They are sealed with high gloss clear. Weathering is light gray spray paint for road haze. A final coat of matte finish is applied over the entire car. I have passenger trucks for this project but the couplers will have to be lowered to get them to line up with the other cars. For now it is using it’s original trucks.